Sheilah Montgomery understands that she came in under extraordinary times as the new president/CEO of the Credit Union of Atlanta. 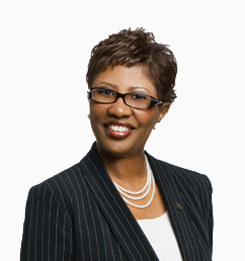 A little more than 30 days in and Sheilah Montgomery understands that she came in under extraordinary circumstances as the new president/CEO of the Credit Union of Atlanta. Joe Christian is appointed interim CEO for New Mexico’s second largest credit union by assets. Leaders take over cooperatives in Virginia, New Hampshire, Maryland and Texas.